By the time you are reading this, I am probably on the plane or may have already landed in Hong Kong. I'm so excited because this is my first time to travel outside the Philippines. May sound primitive, but this is also my first time to ride an airplane. hehe. First time's are always thrilling because you really don't know what to expect. Just like using this product! I've heard a lot about bubble hair color but I never got the chance to try it, until today. 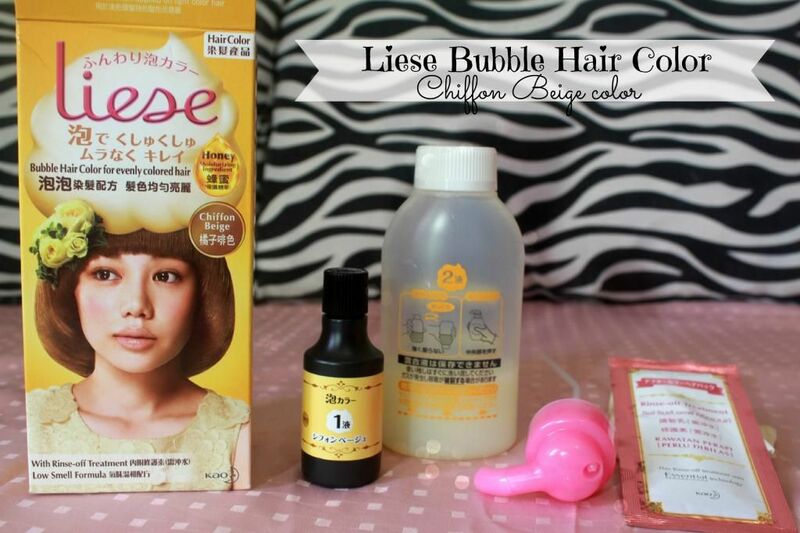 So I got this Japanese Liese Bubble Hair Color from YesStyle.com, Read on to find out more about it. 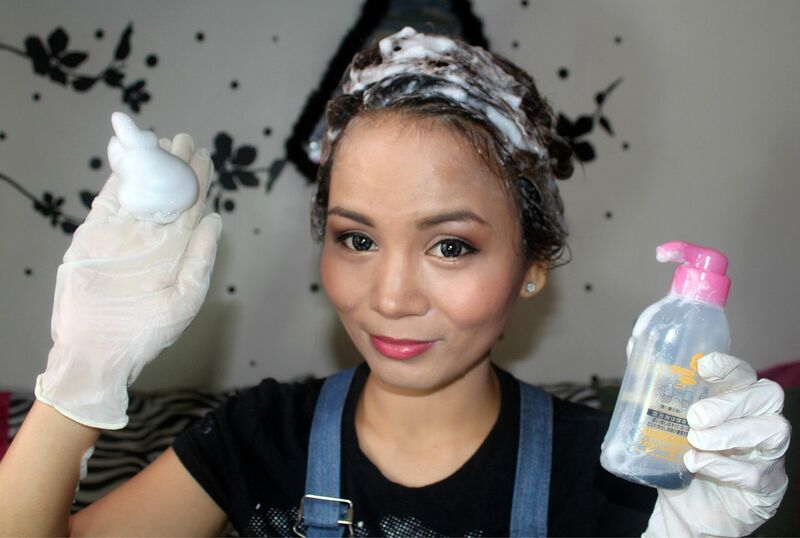 What makes bubble hair coloring different is that you are actually applying fluffy "foam" on your hair as compared to the creams and liquids that we know of. It makes hair coloring fun because you lather it up and it won't drip! It is simple to use so you could evenly apply the foam on difficult to reach areas such as the nape and back areas, all by yourself! 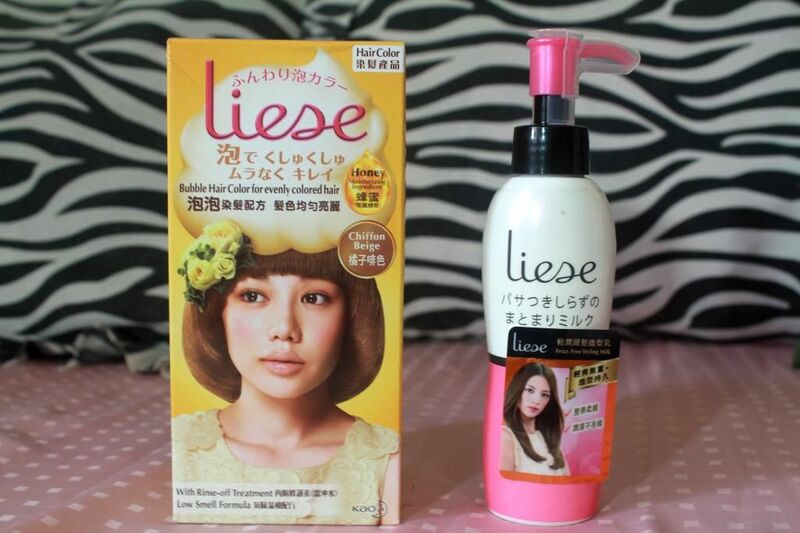 Liese products are made in Japan. Plus point if you like anything Japanese! The kit contains solution #1, solution #2, foamer cap, gloves and treatment cream. The solution contains Amino acid and Royal Jelly Extract that promises to give hair a shiny, silky finish after application. The part that I did not like the most was that it made my hair dry and course. 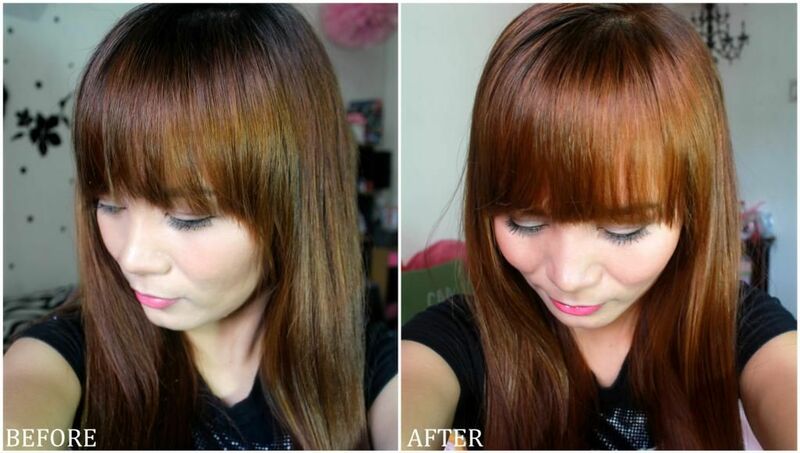 5 days before using this product, I went to the salon to have a hair treatment called Brazilian blowout. That treatment makes hair healthier, bouncier and shinier. My hair was really gorgeous before coloring. No need for conditioner or hair iron. Reference here. But right after coloring, it's like the magic of the treatment was washed away because my hair went back to it's normal dry and course state. Sigh. I really have yet to come across a hair coloring product that won't damage the hair. All products and brands that I've tried makes hair rough and dry. I also did not like that the scent was too strong after I washed it. I couldn't take the smell so I had to wash my hair 3 times and put conditioner 3 times as well but the scent was still there. Anyway, aside from those 2 points, I actually like bubble hair color! It's sooo much easier to use because it does not drip and does not stain the skin or clothes at all. As a first timer, I was not disappointed much. I'm glad I was finally able to try it! 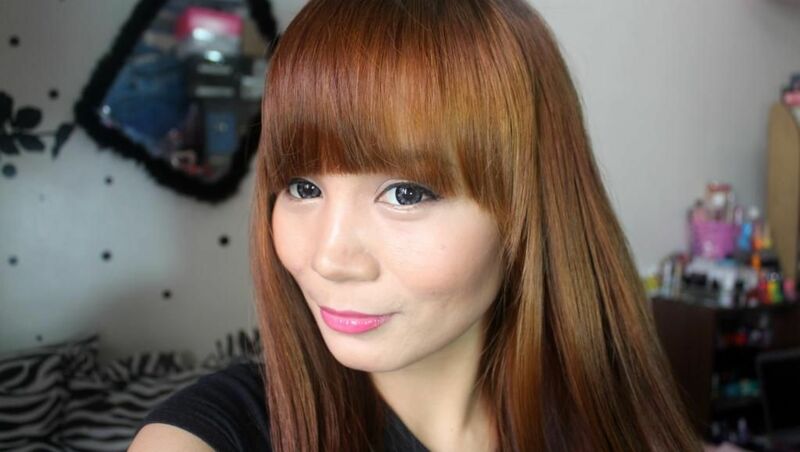 Have you tried Bubble hair color?